Unraveling the puzzling questions surrounding manufactured cigarette sizes. What size is a 120 cigarette? What exactly is a king size cigarette? Ever heard anyone ask these questions? Well, it's very common for people to ask questions regarding the different sizes of cigarettes that are available on the market. The question of size usually comes around when someone is trying to buy accessories such as cigarette cases, cigarette pack holders or cigarette rolling machines. There are many reasons why it's important to know your cigarette sizes well. It's especially important when it comes to cigarette accessories because these are often size specific. The answers can differ because it will largely depend on which manufacturer makes the cigarette and whether you are talking about store bought commercial cigarettes or roll-your-own cigarettes using rolling papers. For more information on making your own cigarettes, see our How To Roll Your Own Cigarettes page. For now, we'll focus on the sizes of commercial store bought cigarettes. The topic of rolling paper sizes has a lot of information to it which you can see by clicking here. 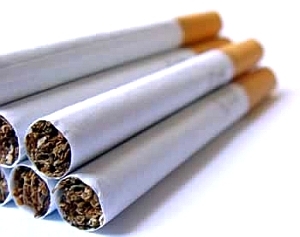 Traditionally speaking, there are four distinctly different sizes of manufactured cigarettes. The sizes refer to the cigarette lengths (in Millimeter) and they are as follows: 70mm, 84mm, 100mm, 120mm. What does that mean? Still seem a little unclear? Let's break it down a little further. 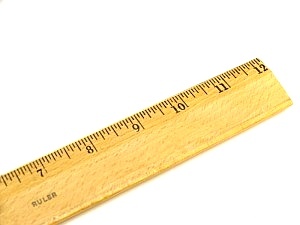 70mm cigarettes were the original cigarette size and are typically 2 3/4 inches long. These were traditionally filterless cigarettes and were the dominant size before the popular filtered cigarette started to dominate the market. This size is still very popular with the roll-your-own community, but are less popular from a commercial standpoint. Once the filter tipped cigarette came out in the late 1950's, these started to decline in popularity. By the mid to late 1960's the filter tip cigarette had started to dominate the market, but these were still very popular due to the large amount of people who were used to smoking this size cigarette. These are still widely available, but not very popular in the modern day. 84mm cigarettes are also known as King size cigarettes and are typically 3 - 3 1/4 inches in length. These are the most popular size cigarettes and are the size right below 100mm. The overall length of the cigarette is longer than the 70mm due to a filter that is attached on one end of the cigarette. 100mm cigarettes are simply known as 100's and are typically 3 3/4 - 4 inches in length. These are the next size up from 84mm (king size) cigarettes and are longer in overall length. They have a longer filter than the 84mm cigarettes and can have slightly more tobacco depending on the manufacturer. 120mm cigarettes are simply known as 120's and are typically 4 3/4 - 5 inches in length. These are the next size up from 100mm cigarettes and are traditionally the longest commercially manufactured cigarette on the market. The big difference in this size cigarette is in the diameter. Generally speaking, these cigarettes have a smaller diameter making them appear 'slim' or thin. Many people are under the assumption that because it is longer, is has a lot more tobacco and this is usually not the case. Once again, this can largely depend on the manufacturer, but these will have just about the same amount of tobacco in it as a 100's cigarette. It just appears a lot slimmer and longer. These cigarettes were first targeted towards women because of the assumption that slimmer and longer was more elegant. These are still very popular in the modern day with both women and men. When purchasing accessories for your cigarettes, it is definitely important to know the differences in cigarette sizes. Sometimes a shorter length cigarette will work with accessories for a longer length cigarette, but not vice versa. So be sure to keep this in mind when shopping for all your cigarette accessories.